It’s been a while since I posted something, mostly because of the summer break here in Australia. But I’ve also been busy working on some great new sites and launching them and now is the time to tell you about them. As you might have guessed, Tsoof is my son. He’s only 15 years old, but already starting Year 12 and a fabulous musician. 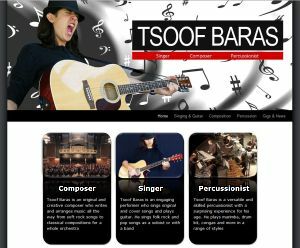 Tsoof sings, composes exciting music and plays percussion like a pro. The new site features a lot of what I’ve learned about using WordPress to build websites, along with some nifty SEO work to get the site ranking and Tsoof working in no time. Maria Brady is a really energetic and positive woman, who just loves to help people feel good. 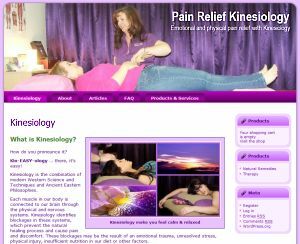 He specialty is kinesiology, but she also uses foot joint mobilization and herbal essences to sooth and heal bodies and souls. This site was optimized for local searches with Google Places and special keywords. Manufacturing in China seems to be the way of every company these days and that can be scary for the uninitiated. This is why providing Australian management, guarantees and quality control is so important when engaging a plastic injection moulding company. Nicet Industries has an office in Brisbane, so clients deal locally and in English, but it manufactures moulds and plastic parts in China, so clients get incredible savings. More sites coming soon. What about yours?